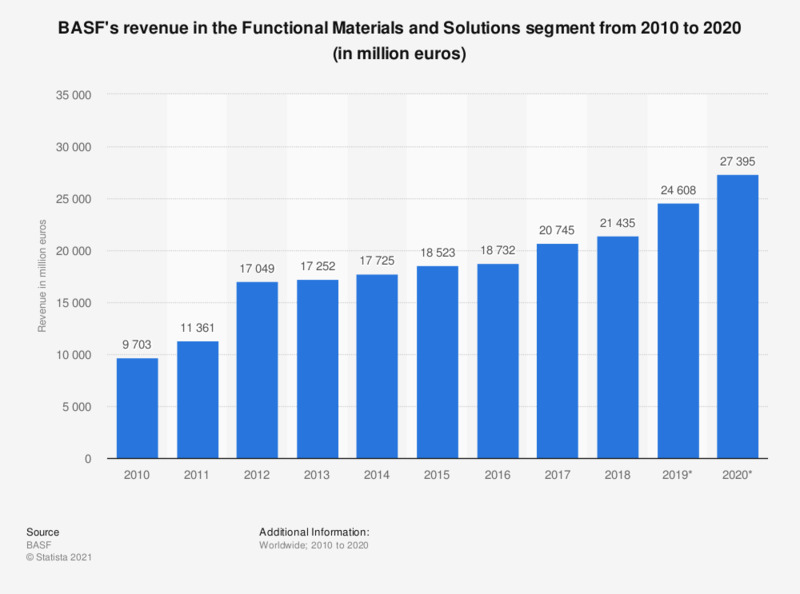 This statistic depicts BASF's revenue in the Functional Solutions segment from 2008 to 2018. In 2018, this segment generated some 21.4 billion euros of revenue. BASF is the largest diversified chemical company worldwide and is headquartered in Ludwigshafen, Germany. * In 2013, BASF segments were changed (segment Plastics was redirected to other segments). Therefore, some segments' revenues have changed. 2012 value has been restated. This statistic was assembled from several BASF annual reports.